What is the cheapest way to get from Mulhouse Airport (MLH) to St. Jakob Stadium? The cheapest way to get from Mulhouse Airport (MLH) to St. Jakob Stadium is to drive which costs 1€ - 2€ and takes 12m. What is the fastest way to get from Mulhouse Airport (MLH) to St. Jakob Stadium? The quickest way to get from Mulhouse Airport (MLH) to St. Jakob Stadium is to drive which costs 1€ - 2€ and takes 12m. Is there a direct bus between Mulhouse Airport (MLH) and St. Jakob Stadium? No, there is no direct bus from Mulhouse Airport (MLH) to St. Jakob Stadium. 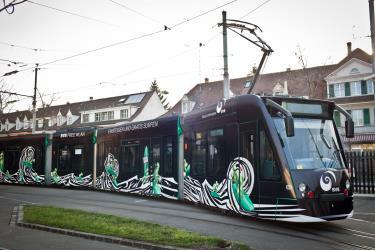 However, there are services departing from Basel EuroAirport and arriving at Basel, St. Jakob via Basel, Kannenfeldplatz. The journey, including transfers, takes approximately 42m. How far is it from Mulhouse Airport (MLH) to St. Jakob Stadium? The distance between Mulhouse Airport (MLH) and St. Jakob Stadium is 9 km. The road distance is 10.2 km. 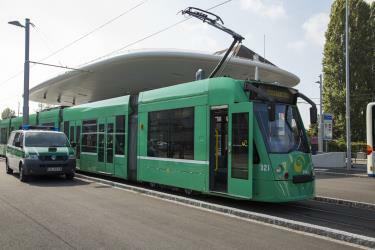 How do I travel from Mulhouse Airport (MLH) to St. Jakob Stadium without a car? The best way to get from Mulhouse Airport (MLH) to St. Jakob Stadium without a car is to line 50 bus and line 36 bus which takes 42m and costs 6€ - 8€. How long does it take to get from Mulhouse Airport (MLH) to St. Jakob Stadium? It takes approximately 42m to get from Mulhouse Airport (MLH) to St. Jakob Stadium, including transfers. 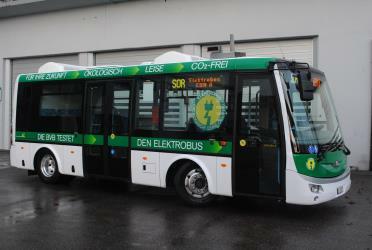 Where do I catch the Mulhouse Airport (MLH) to St. Jakob Stadium bus from? Mulhouse Airport (MLH) to St. Jakob Stadium bus services, operated by BVB, depart from Basel EuroAirport station. Where does the Mulhouse Airport (MLH) to St. Jakob Stadium bus arrive? 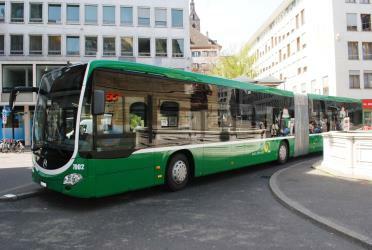 Mulhouse Airport (MLH) to St. Jakob Stadium bus services, operated by BVB, arrive at Basel, St. Jakob station. Can I drive from Mulhouse Airport (MLH) to St. Jakob Stadium? Yes, the driving distance between Mulhouse Airport (MLH) to St. Jakob Stadium is 10 km. It takes approximately 12m to drive from Mulhouse Airport (MLH) to St. Jakob Stadium. Where can I stay near St. Jakob Stadium? There are 614+ hotels available in St. Jakob Stadium. Prices start at SFr 67 per night. What companies run services between Mulhouse Airport (MLH), France and St. Jakob Stadium, Switzerland? You can take a bus from Mulhouse Airport (MLH) to St. Jakob Stadium via Basel, Kannenfeldplatz and Basel, St. Jakob in around 42m. Rome2rio's Travel Guide series provide vital information for the global traveller. Read our range of informative guides on popular transport routes and companies - including Italy Travel Guides, Is ride-sharing platform BlaBlaCar right for you? and How do I get from Sydney to Melbourne - to help you get the most out of your next trip. Zoo Basel is a non-profit zoo in the city of Basel, Switzerland. Its official name is Zoologischer Garten Basel — or in English: Basel Zoological Garden. Basel residents affectionately call it Zolli. Its main entrance is just outside Basel's downtown strip of Steinen and extends in the Birsig stream valley to Basel's city border with Binningen, Basel-Country. The Basel Minster (German: Basler Münster) is one of the main landmarks and tourist attractions of the Swiss city of Basel. It adds definition to the cityscape with its red sandstone architecture and coloured roof tiles, its two slim towers and the cross-shaped intersection of the main roof. The Münster is listed as a heritage site of national significance in Switzerland. The Vitra Design Museum is an internationally renowned, privately owned museum for design in Weil am Rhein, Germany. The Kunstmuseum Basel houses the largest and most significant public art collection in Switzerland, and is listed as a heritage site of national significance. Rome2rio makes travelling from Mulhouse Airport (MLH) to St. Jakob Stadium easy. Rome2rio is a door-to-door travel information and booking engine, helping you get to and from any location in the world. Find all the transport options for your trip from Mulhouse Airport (MLH) to St. Jakob Stadium right here. Rome2rio displays up to date schedules, route maps, journey times and estimated fares from relevant transport operators, ensuring you can make an informed decision about which option will suit you best. Rome2rio also offers online bookings for selected operators, making reservations easy and straightforward.